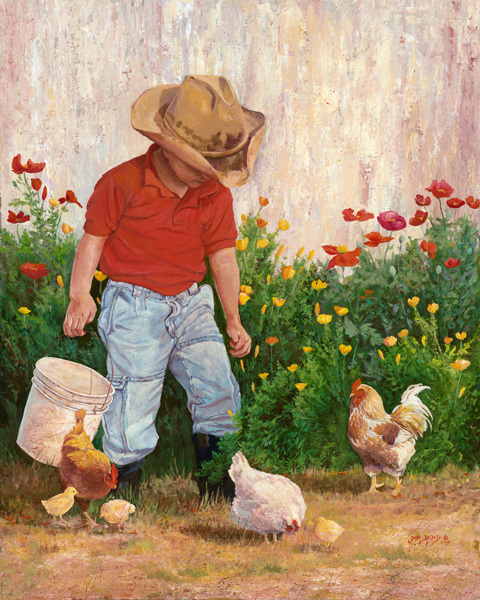 June Dudley paints the most adorable children, and her "Country Boy" fits right in. This little cowboy delights in his chore of feeding his chickens and baby chicks. Life in the country is full of many fun adventures. Who knows what tomorrow will bring.